Clare Bell is a science fiction and fantasy author best known for some very furry-themed books. What’s more, she’s actually been to several furry conventions — as a fan! She’s mostly known for a series called The Books of the Named, and the first book in the series is called Ratha’s Creature (check it out here on Amazon). In this book we meet Ratha, who is a young member of the Named: A species of prehistoric cat that are self-aware and possessing of culture, laws, and even primitive agriculture (they keep livestock). Ratha brings shock and dismay to her society when she learns to tame a strange ‘creature’ that glows, and flows, and burns… most anything dry in fact. The rest of the series follows the adventures of Ratha, her friends, and her adversaries as events develop after Ratha’s discovery of this “creature”… and how she learns it can be useful. You can find out more about the series on the Clare Bell fan site. 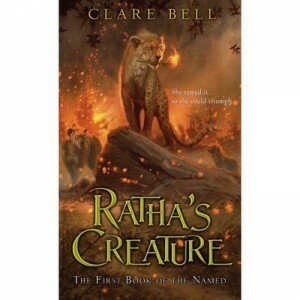 The reason we’re telling you all this now is that Clare Bell and Sheila Ruth (from Imaginator Press) are exploring the possibility of creating a Ratha’s Creature graphic novel — and they’d like the fans’ opinion of the idea, to see how popular it might be. Visit Clare Bell’s Fur Affinity page and check out the survey in her journal. She’ll fill you in on the rest.